Since 2001, the California Air Resources Board has annually bestowed the distinguished Haagen‑Smit Clean Air Awards to extraordinary individuals to recognize significant career accomplishments in at least one of these air quality and climate change categories: research, environmental policy, science and technology, public education, and community service. The program includes international leaders in these categories as well. To commemorate five decades of progress toward clean air and in conjunction with the Board’s 50th Anniversary, the Board proudly announces the recipients of the Haagen-Smit Legacy Awards who have had a significant impact on air quality and climate goals in California and beyond. David Hawkins is being recognized for his leadership in the development, advocacy, and implementation of sustainable and science-based clean air policies, notably the Clean Air Act, that improve quality of life for all Americans. Mr. Hawkins was one of the Natural Resources Defense Council’s (NRDC) first staff members in 1971 and has been with the organization ever since, minus the four years he spent working at the U.S. Environmental Protection Agency during the Carter administration. 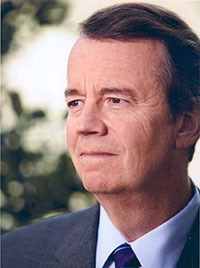 After returning to NRDC, he dedicated much of his time to getting an improved Clean Air Act reauthorized by Congress in 1990. In his 40 plus year career at NRDC, Mr. Hawkins served as director of NRDC’s Air & Energy program, and has been director of the Climate Center since 2001. With expertise in advanced coal technologies and carbon dioxide capture and storage, Mr. Hawkins has worked with Congress, the Executive Branch, and various members of the business community to design policies that will slow, stop and reduce the emissions of global warming pollution. His legacy of advocating for health-protective air quality policy will have positive effects on Americans’ health for years to come. 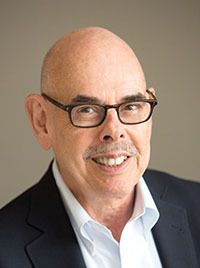 Henry Waxman is being recognized for his leadership and many legislative achievements on environmental issues as a key member of the U.S. House of Representatives, having served 40 years in Congress. Mr. Waxman currently serves as Chairman at Waxman Strategies, a public affairs and strategic communications firm where he continues to focus on the issues he championed while in Congress, including health care, environment, energy, technology and telecommunications. Mr. Waxman’s legislative work and tenacity earned him recognition as “one of the most accomplished legislators of our time” when pushing for passage of the landmark Clean Air Act Amendments of 1990. The additional programs and enforcement capabilities that the Amendments provided are proving to have long-lasting positive effects, having saved over 1 million people from premature death. He is also known for the Waxman-Markey Bill in 2009 that if passed by the Senate, would have established an early version of a cap and trade program. Despite the bill only making passed the House, it had brought the climate issue to national attention, paving the way for legislation such as the Clean Power Plan. 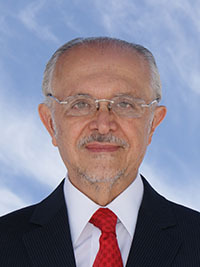 Mario Molina is being recognized for his pioneering research on chlorinated gases in the atmosphere, which laid the foundation for international efforts to curb growth of the ozone hole, and is now shaping policy to curb short-lived climate pollutants. Currently, he is professor at the University of California, San Diego, with a joint appointment in the Department of Chemistry and Biochemistry and the Scripps Institution of Oceanography, one of the leading climate change research institutions. Dr. Molina has received numerous awards for his contributions to science including over 40 honorary degrees, the Tyler Prize for Environmental Achievement in 1983, the Presidential Medal of Freedom, and the 1995 Nobel Prize in Chemistry. Dr. Molina was a pioneer in the translation of atmospheric science research into scientifically sound policies that protect human health and the environment. Governor Arnold Schwarzenegger is being recognized for strong and sustained public leadership on an extraordinary range of environmental issues during a critical period in our State’s history. Among the most influential actions taken by Governor Schwarzenegger was his support of the California Global Warming Solutions Act of 2006 (AB 32) where he worked with leaders of both major political parties to pass this bold and historic Act. AB 32 ultimately gave rise to a host of greenhouse gas reduction programs covering a vast array of combustion-intensive industries and activities including fuel refining, power generation, transportation and manufacturing. Continuing his commitment to environmental leadership, in 2011 he co-founded R20, a global non-profit of sub-national governments and regional leaders working together to address climate change and build a green economy. 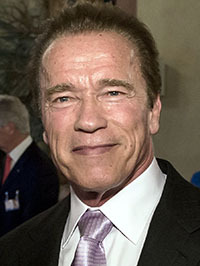 In 2012 he partnered with the University of Southern California (USC) to launch the USC Schwarzenegger Institute to continue his work on the many policy initiatives he championed during his two terms as Governor. 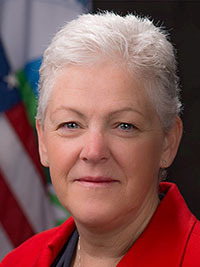 Gina McCarthy is being recognized for her leadership at the U.S. Environmental Protection Agency on development and implementation of the Clean Power Plan and a whole suite of climate policies. Previously, Ms. McCarthy served as the Commissioner of the Connecticut Department of Environmental Protection, where she began an initiative called “No Child Left Inside” to introduce families to the natural world by visiting state parks. She also helped design and implement the nine-state Regional Greenhouse Gas Initiative, the nation’s first cap and trade program to reduce greenhouse gas emissions from power plants. She has also held senior positions in Massachusetts, serving five governors, including Deputy Secretary of the Office of Commonwealth Development and Undersecretary for Policy for the Executive Office of Environmental Affairs. She is currently a Professor of the Practice of Public Health in the Department of Environmental Health at Harvard and the Director of Harvard’s Center for Health and the Global Environment. Policies instituted under her guidance at the Environmental Protection Agency, and her ongoing efforts to increase public awareness of the fundamental role of science in environmental protection, constitute a legacy that will protect public health for generations. For more information on CARB's Clean Air Awards, contact Heather Choi at (916) 322-3893.